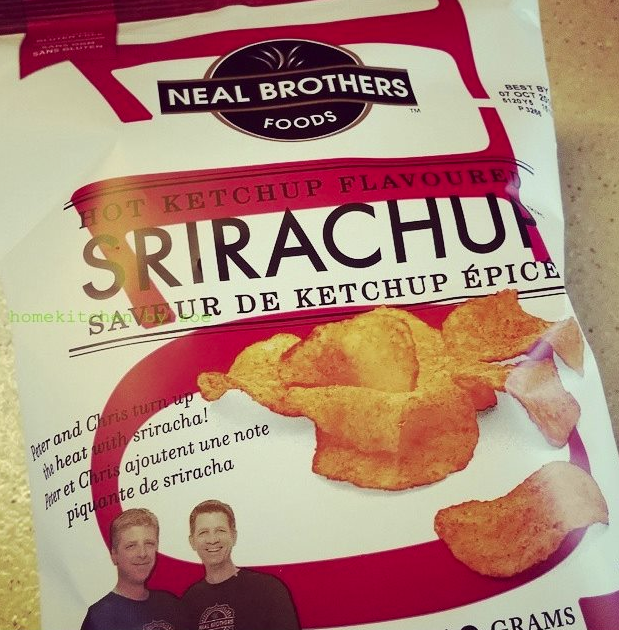 I have started on a casual low carb diet since October 2018 and realized it has been quite difficult for most of the Asians — when noodles, rice, buns plays a major role in our every meal — but in order to cater a diversified group of foodies, there are now more alternatives to choose from. 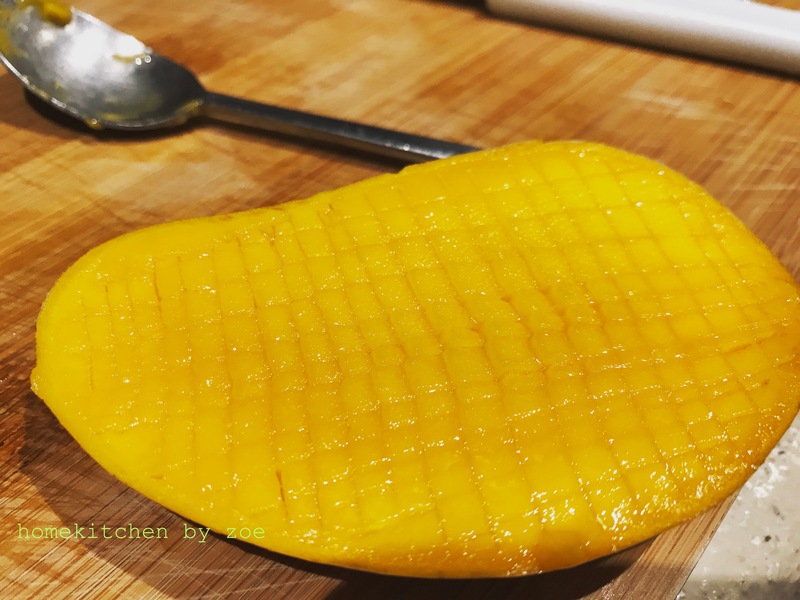 Japanese food culture has come to a revolutionary change the past few years, introducing more fusionized ingredients to their traditional recipes. 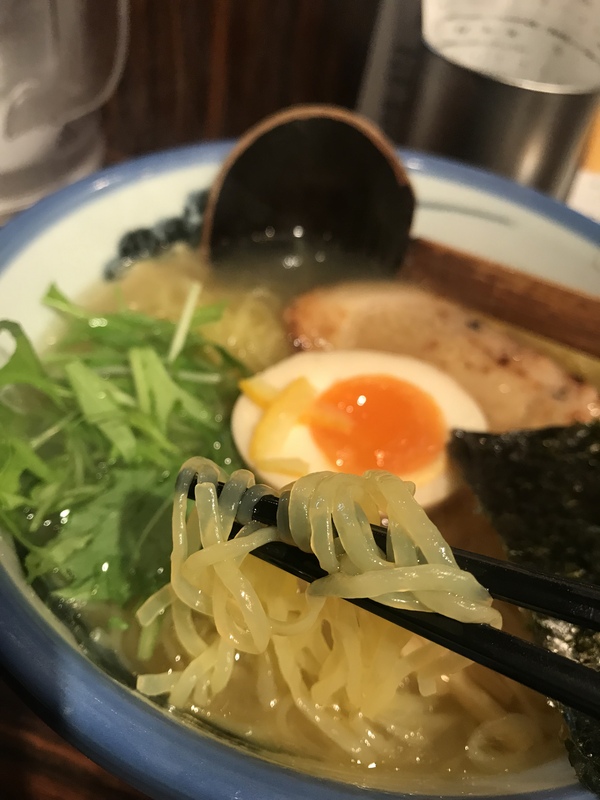 For instance, ramen have always been an important part of food culture in Japan, the soup base, noodle thickness and ingredients all represents different parts of the country. 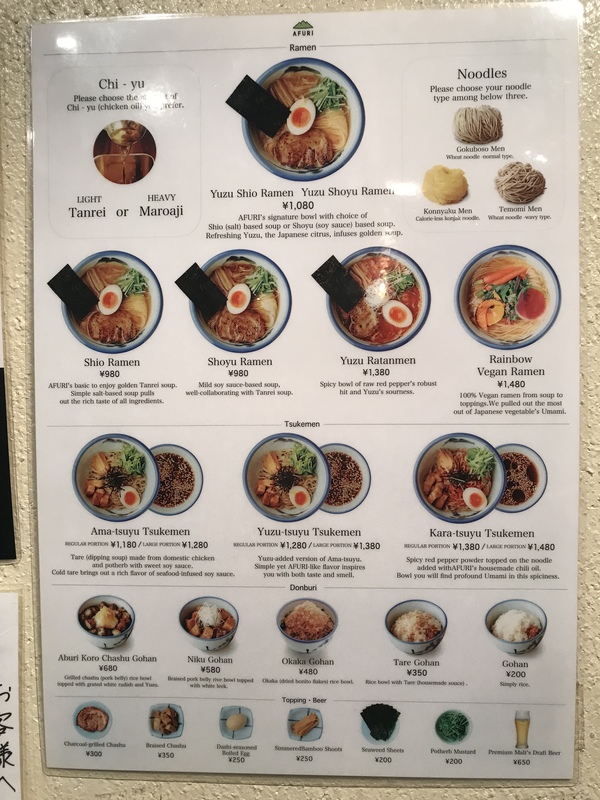 There were 3 types of traditional soup base that most people are familiar with includes Shio (salt), Shoyu (Soy sauce) and Miso, oh, and one more, Tonkatsu (pork). Oops, and also vegan vegetable ramen too! 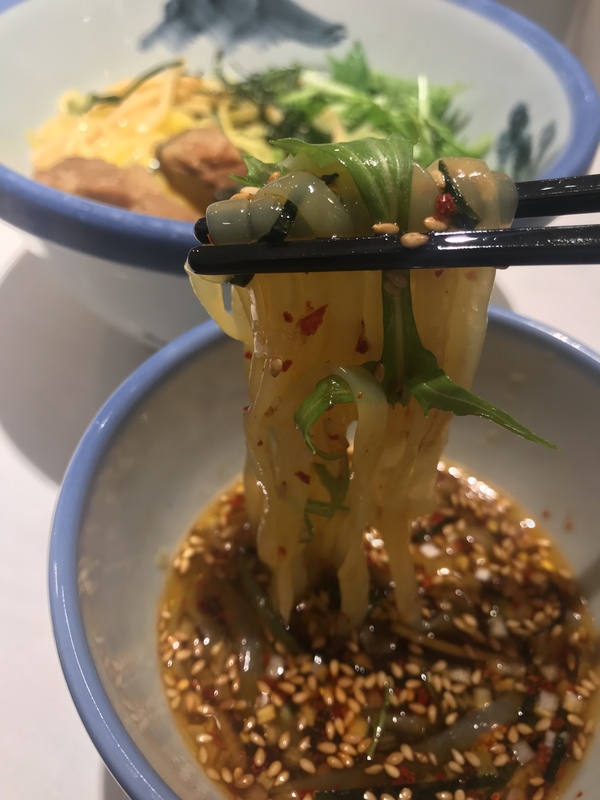 However, now we have yuzu based ramen soup that added to the traditional salt, soy sauce and miso base, in addition to that, you can also choose konjac noodle to replace the traditional handcrafted flour base noodles for a lighter calories option. 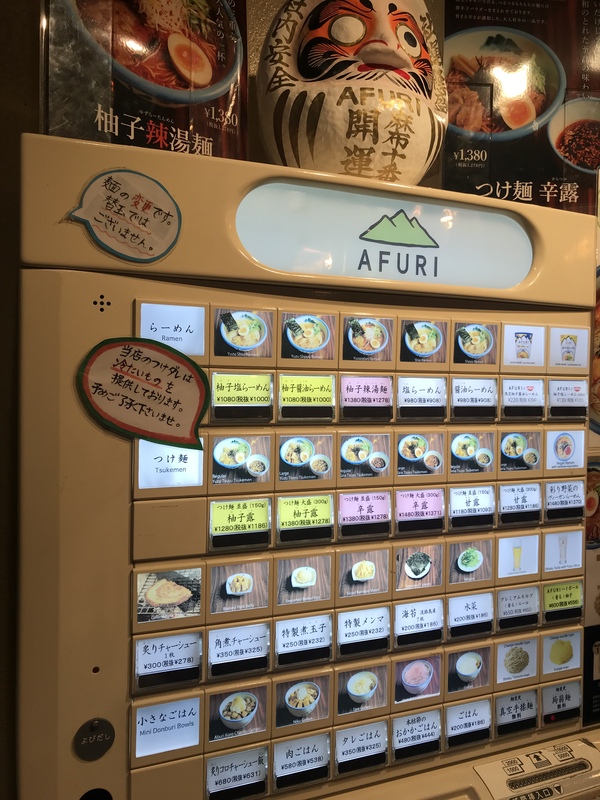 Recently I’ve just visited Tokyo to one of its most popular ramen spot — Afuri. 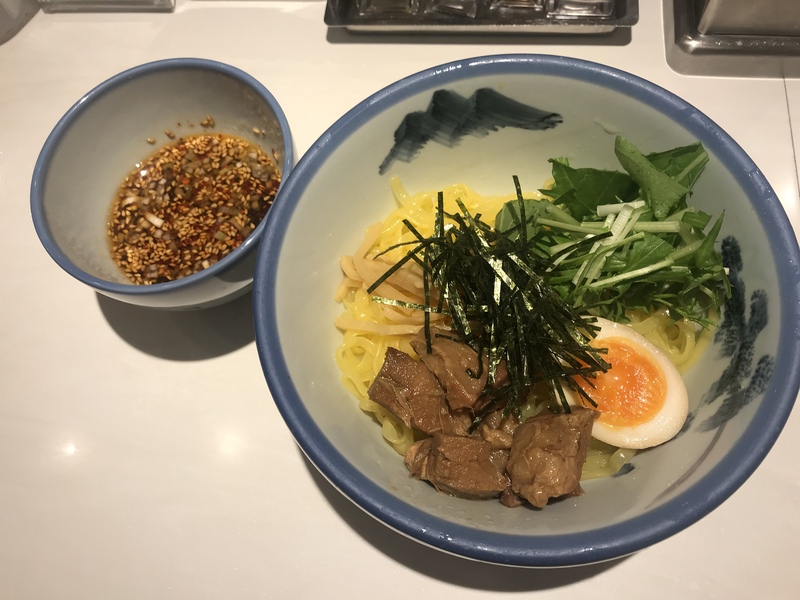 Afuri offers yuzu based ramen soup, and most importantly, probably it’s the only place I found that actually offers non-flour made noodles replacement in Tokyo. 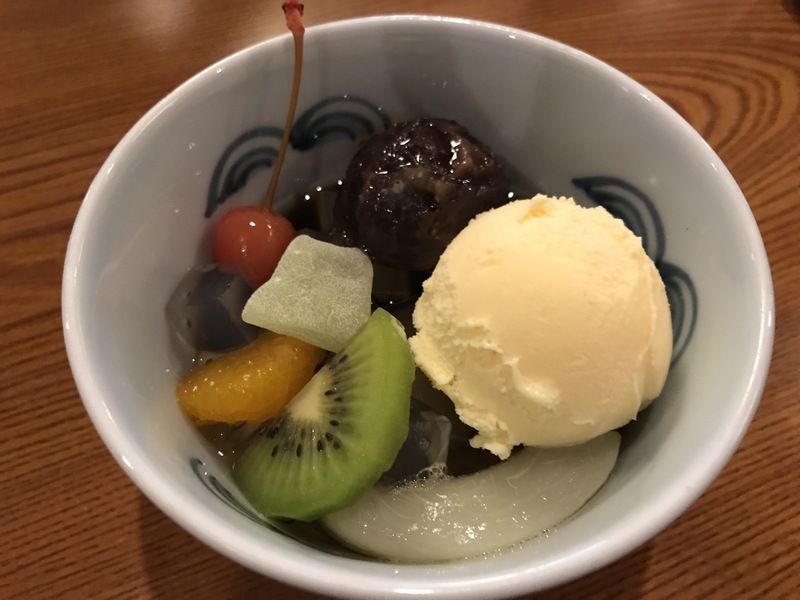 Afuri started out in 2001 in Kanagawa prefecture near Tokyo, and opened their first location in Ebisu in 2003. 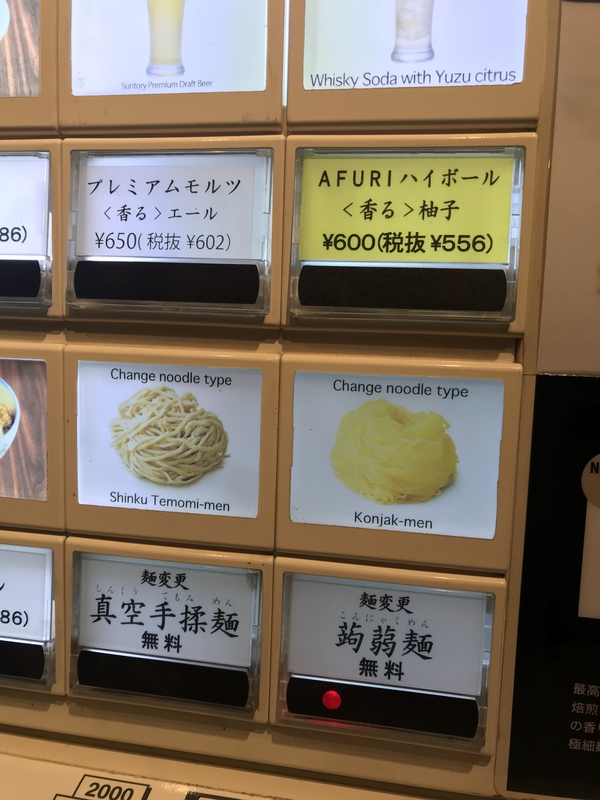 They offer lighter flavoured ramen compare to the traditional rather salty and oily ramen soup, perfect for those who prefer a more refreshing, lighter taste. Afuri is definitely a go-to place either you’re a vegan, vegetarian or low carb. Apart from the fatty charcoal grilled pork, you can also choose a replacement of slow cooked lean chicken breast as well. 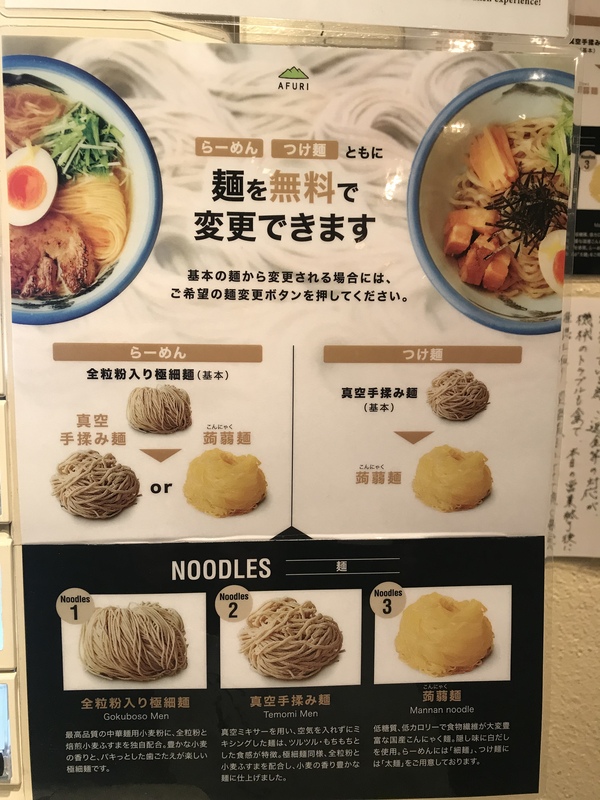 The above is the dip noodles (Tsukemen) that I ordered with Konjac noodles, and it has the perfect texture and thickness to cling with the dipping sauce. This is the ramen soup I ordered on another visit, it comes with a thinner Konjac noodles, so it goes well with the lighter yuzu shio soup. Hand in your ticket to the server and enjoy when the noodle comes!